Compatible with the iPhone 4, iPhone 4S, iPhone 5, iPod touch (5th generation), iPad2, new iPad (3rd generation), iPad (4th generation), and iPad mini. Compatible with iOS 4.3 and later. *When loading the application for the first time, please ensure that you have a stable wireless connection. *This app may not function properly on the iPhone 4 and the backgrounds in the FMS and BMS will appear as simplified versions. 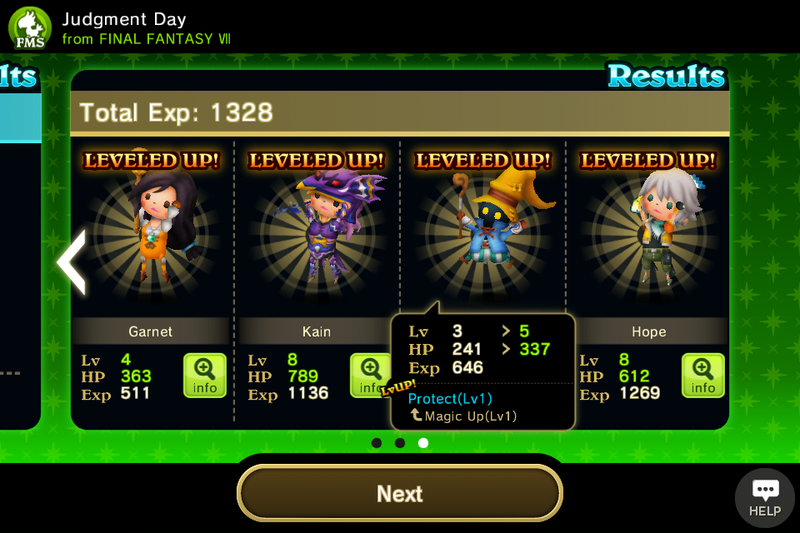 Now everyone can play back their memories of FINAL FANTASY in an endlessly expansive app: THEATRHYTHM FINAL FANTASY! 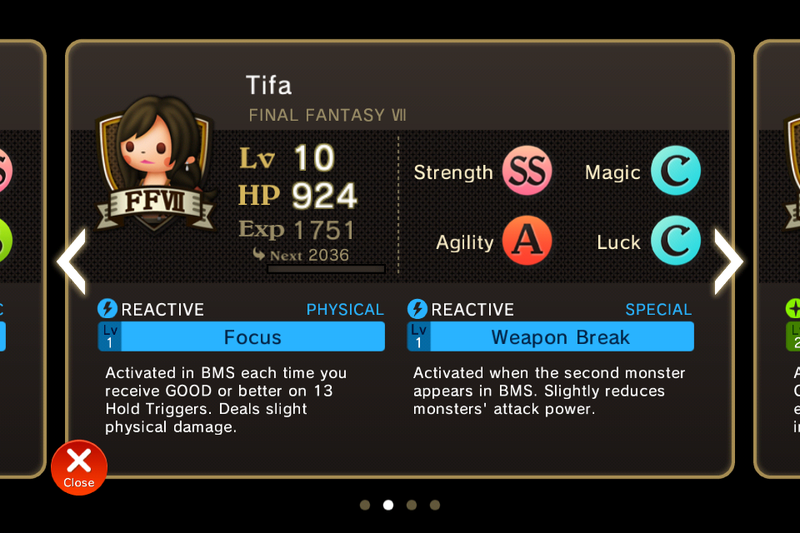 THEATRHYTHM FINAL FANTASY, the first music game in the FINAL FANTASY series, has been augmented with more songs and new playable characters to make it easier to dive into and play than ever before! Now it makes its debut as an iOS app that allows for communication with users from around the world in an unlimited adventure! ■With Quest Medleys, every time that you play, it’s a new adventure! New enjoyment to be found in each game! 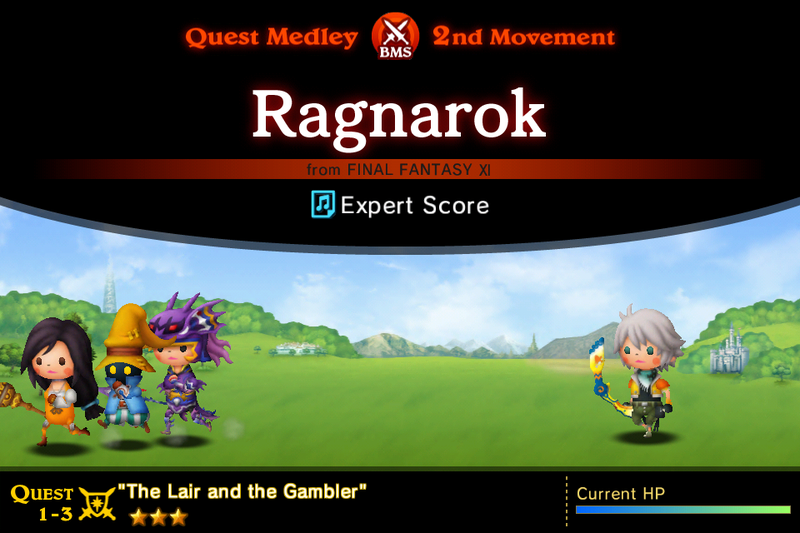 The iOS version of THEATRHYTHM FINAL FANTASY adds the Quest Medley mode, where you can play through songs you’ve purchased in a rhythmical gauntlet! Each quest is a set made up of a single FMS and a single BMS, and each time that you play, you will find yourself facing different songs, different levels of difficulties, and different rewards for completion—enjoy the thrill of a music game where the sense of adventure never fades! Being able to play on your iOS device by touching anywhere on the screen gives you more freedom as a player, as you operate the game with ease. Slide across the screen in undulating waves that rise and fall in time to the slower-paced songs in these stages. Flick and tap to the furious beat to hit the Triggers flowing before each character in these fast-paced songs. 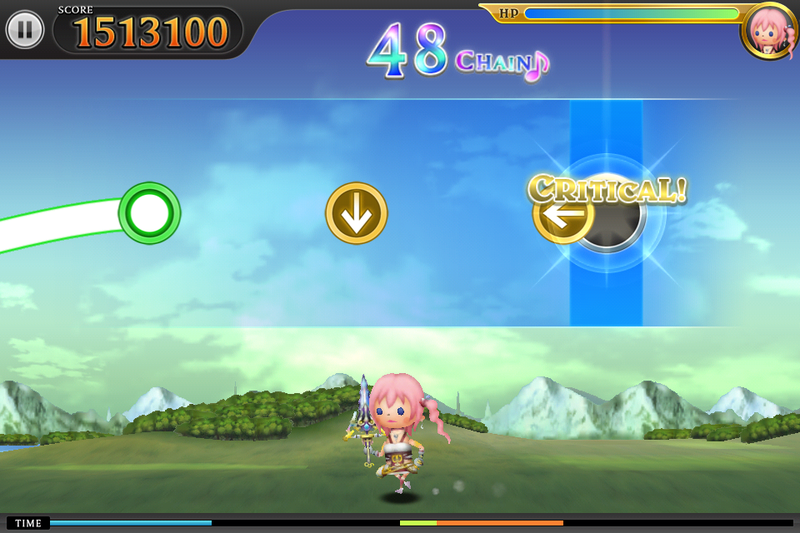 ■Leveling up your character hinges on clearing tough songs! What else could you expect from a FINAL FANTASY music game? Each time that you play through a song, your characters will gain experience. 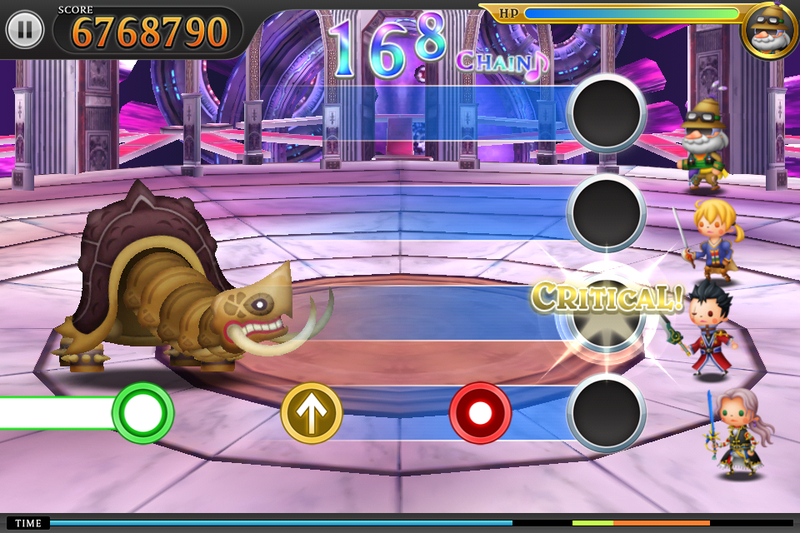 This app makes it easier than ever to enjoy developing your characters, as you simply level them up and the abilities gained by doing so are automatically equipped to your characters to be triggered during the music stages. In addition to the three regular scores of differing levels—the Basic, Expert, and Ultimate scores—you’ll gain a further three Illusive Scores for each song: arrangements of the regular scores with similarly varying levels of difficulty. Collect the shards of these Illusive Scores by clearing Quest Medleys and open up new adventures. Whether you are a novice or an experienced veteran, you’ll be able to find a way to play that fits your level! ■Use Twitter to tell the world about the scores you create yourself and share them with players everywhere! Players themselves can create their own original scores by trying their hand at the Compose Scores mode! Upload your scores onto the server, or download the scores made by other players around the world—it is the players themselves who make the challenges of this game beyond limit. When you link the app up to your Twitter account, you can Tweet not only about the results of your play but also announce the uploading of your original scores to the server. And who knows—you might even find some scores made by the developers and the creators among the original scores uploaded each day!